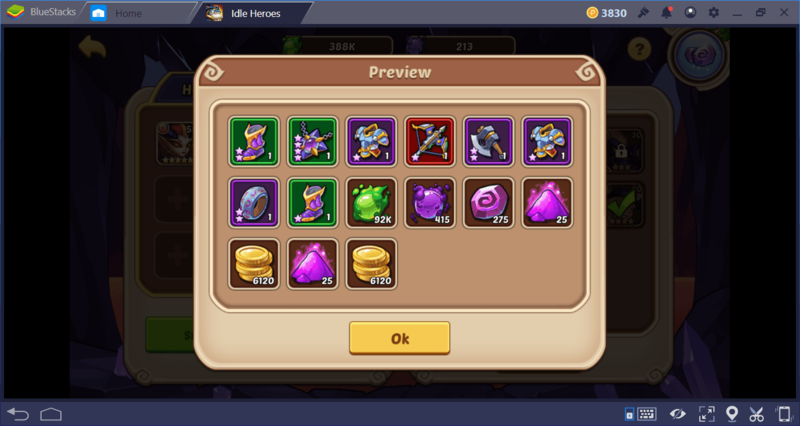 We have created many guides for Idle Heroes (Beginner Guide, Tips and Tricks, Heroes Guide, etc.) and when you look at them, you will see that the game’s multiplayer features offer the most fun experience. But there is a problem: You need to get together with other real players to take advantage of these features. This is a very difficult task to do – even if you find excellent teammates, they can stop playing at any time. You cannot do much with teammates who play whenever they want. 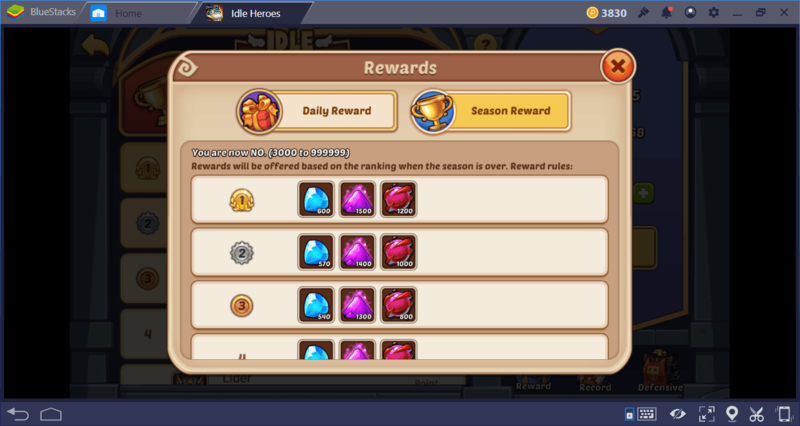 Using the multi-instance feature of BlueStacks, however, you can start enjoying all the multiplayer features in Idle Heroes game without depending on anyone. In this article, we’ll tell you how to do this and talk about how the multi-instance feature can help you. 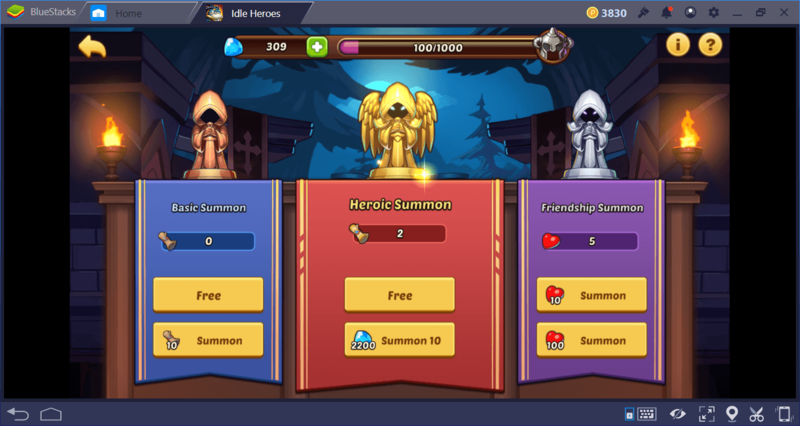 The basic mechanics of Idle Heroes game is to summon heroes, as you know. There are three ways to do this: basic summon, heroic summon, and friendship summon. 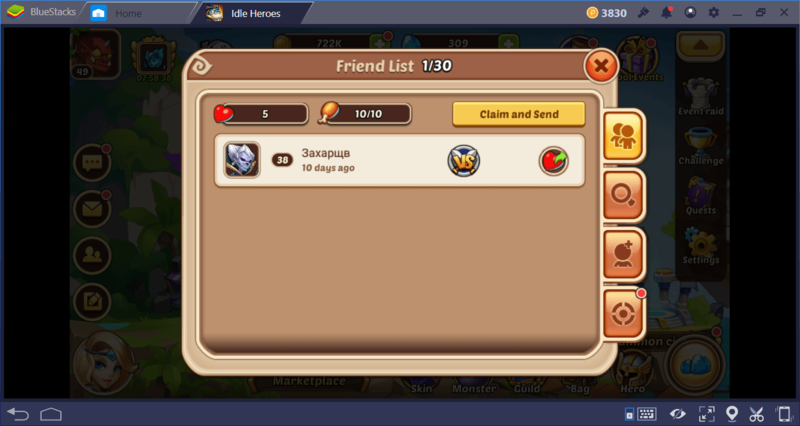 Heroic summon allows you to get the highest star heroes, but you must pay for this “service”. Basic summon is free but it is also not very advantageous. This is because your odds of summoning a 1-star hero is 56%. And as you already know, one-star heroes are not good for anything. 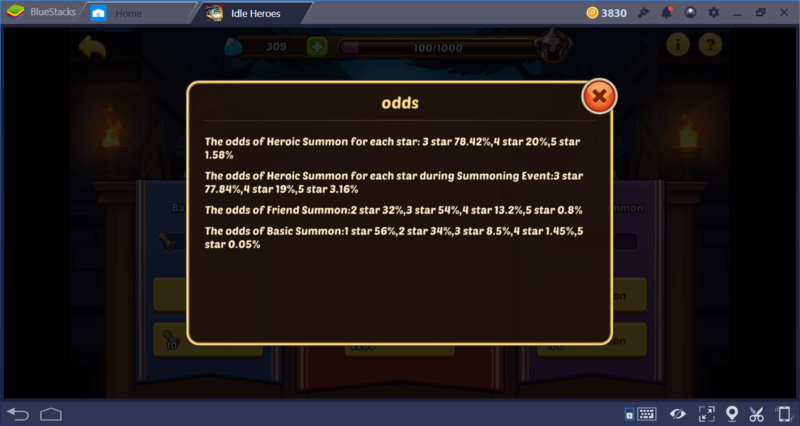 Friendship summon, on the other hand, gives you a 54% chance of getting a 3-star hero. To use this system, you have to make lots of friends and send hearts to each other. You can summon 1 hero for 10 hearts, and 10 heroes for 100 hearts. Getting all of the hearts on a daily basis is very difficult: Even if you find enough friends, some will stop playing, and some will forget to send you hearts every day. However, thanks to the multi-instance feature, you can open multiple accounts, become “friends with yourself”, and summon 10 heroes for free on a constant basis just by taking a few minutes each day. The odds of friendship summon are better than the basic summon. You’re likely to get at least one 4-star hero every day. Using this method, it will be possible to get 10 heroes free of charge every 24 hours and you will be able to create your dream team much more easily. You can also get additional resources and items by sacrificing the 1 and 2-star heroes you get with this method in the Altar building. You do not need other players to create a guild: Anybody can create a personal guild if they have enough gold. However, you need active members who can work together to grow your guild and upgrade its buildings. For example, your members must complete their check-in each day to earn XP points which will also raise the guild level. Or, with enough gold donations from the members, you can raise the level of the Mill building, and gain access to “orders” and start to win more gold and guild coins. The problem is, the majority of guild members won’t be doing any of these. 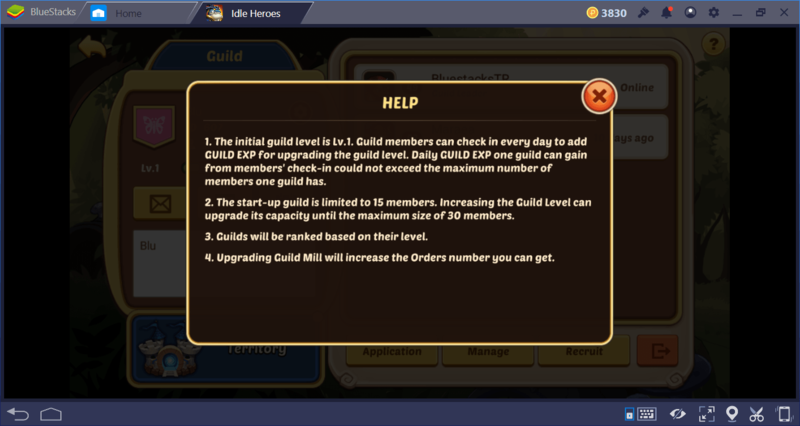 They won’t complete the daily check-in process, donate gold or any other thing that will help the guild, unfortunately. For this reason, the only player you can trust is yourself: Create a guild and only accept your own accounts as “members”. 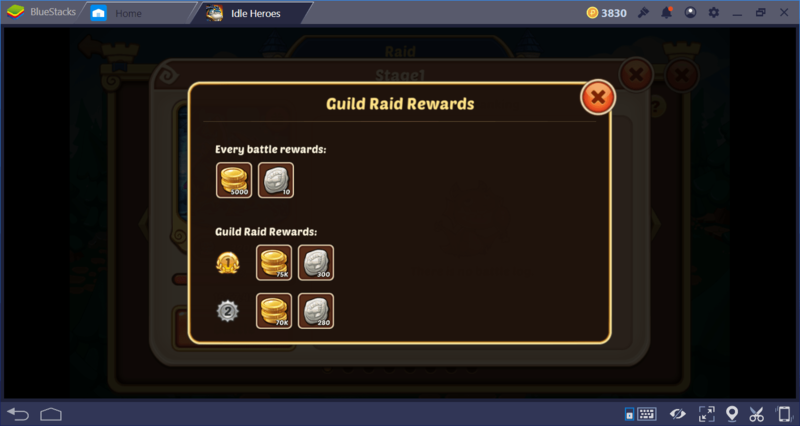 This way, you can have a high-level guild in a very short time, spending only 10-15 minutes each day. Even completing the daily check-in process will be enough. 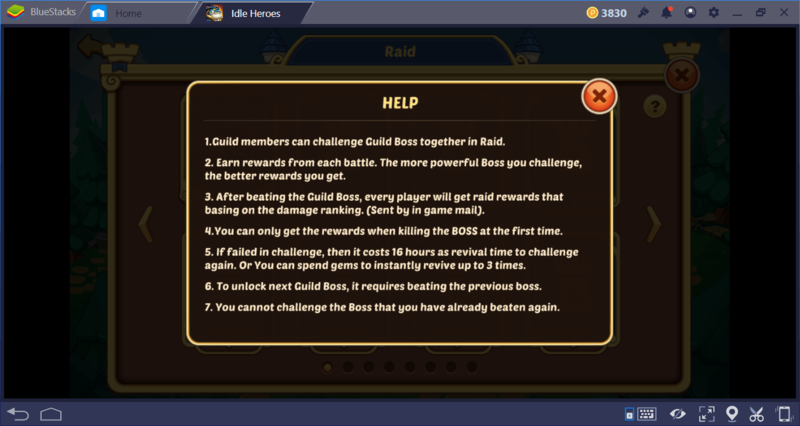 That’s not all: You no longer need other players to complete the Guild raid missions: You can complete these quests with your own accounts and win numerous gold and guild coins. Here is a little tip: Make sure that the team who lands the finishing blow to the boss is your main account. Because the team that lands the last hit gets an additional kill reward. 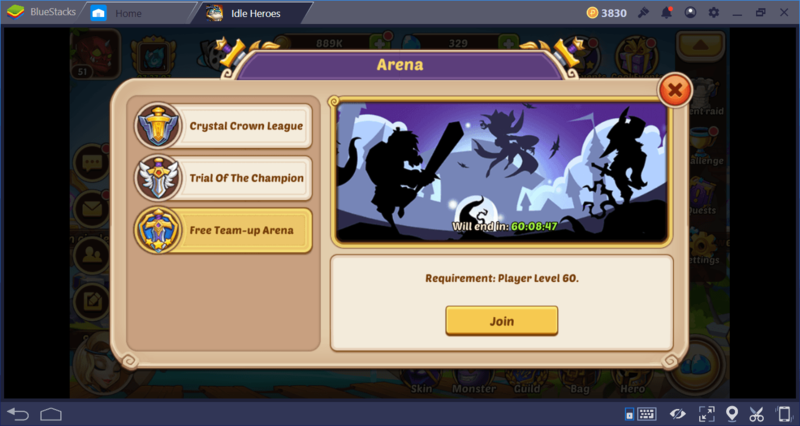 When you reach level 60, you can start using the “free team up arena” feature. This feature brings together 2 players to create a joint team and fight against other real players. Once the joint team has been created, only the team leader can initiate battles. So the other player does not have to do anything. Even if you create the most perfect joint team, your partner may stop playing the game and cause your rating to drop. For this reason, it is best to create your own joint team: Create a multi-instance account, form up a team, and send an invitation to your main account. After that, you can join arena matches using only your main account, there is no need to switch between accounts. The “Free Team Up Arena” awards are distributed every Thursday at 00.00. How To Use BlueStacks Multi-Instance Feature? We recommend you take a look at the BlueStacks Multi-instance Guide to understand how to set it up. The process is fairly simple and easy, you can start creating additional accounts in just a few seconds. Remember that the tips and tricks in this guide can be used in all games that have the same mechanics: For example, you can use almost all of the above recommendations in the Knight Chronicles game too. In addition to multi-instance feature; BlueStacks will offer you higher resolutions and the chance to use your keyboard and mouse to play games, which will change your overall gaming experience in a positive way. Good luck!